✔ Detection of Abdominal Aorta Aneurysm using Ultrasound. ✔ Having a screening scan with us cuts the risk of dying from an abdominal aortic aneurysm by about half. *(written ultrasound report within 24 hours). The aorta is the main artery which runs from the heart, down through the abdomen and supplies blood to the body. 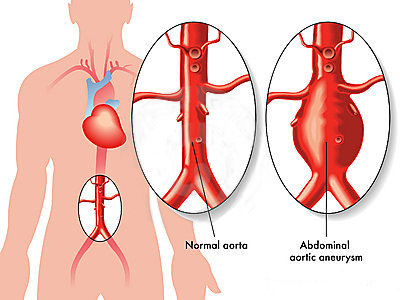 An abdominal aortic aneurysm (AAA) is a swelling of this vessel which usually causes no symptoms but as the aorta expands its wall becomes weak and may give way. If it bursts this is called a rupture is extremely dangerous and usually fatal. A smaller aneurysm is not dangerous however it can grow and become larger so it is important to monitor the size. Approximately 6,000 people in England & Wales die every year from ruptured abdominal aortic aneurysms (source: NHS Abdominal Aneurysm Screening Programme). Around 8 out of 10 people with a ruptured AAA either die before they reach hospital or don't survive surgery. A simple & quick ultrasound scan can detect an aneurysm with instant results. Having this scan cuts the risk of dying from an abdominal aortic aneurysm by about half. If an aneurysm is found you will need to be regularly monitored to check it doesn't get dangerously larger & can be managed by your clinician reducing negative outcomes. Many of our clients choose to book an ultrasound scan with us after having been referred for a AAA scan in the NHS by their GP however are unwilling to wait for a scan appointment within the NHS, which can be many weeks. Going privately bypasses this allowing quicker & more convenient appointments & faster results. We offer flexible & convenient appointments suited around you and your life with clinics running during the day, evening and weekends. What is the objective of this scan? To visualise the abdominal aorta using ultrasound and detect if an aortic aneurysm is present. In general if you have an AAA, you will not know and probably will not feel any symptoms. If however the aneurysm bursts it is regarded as a medical emergency and more people either die before they reach hospital or don't survive. This screening scan is a way of detecting if an aneurysm is present in the abdominal aorta and assessing if it needs to be monitored or requires specialist or urgent attention, allowing treatment before it bursts. A written ultrasound report of the examination including any measurements usually following the scan or within 24 hours after your appointment. 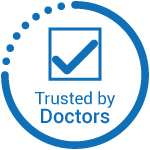 Our mission of better quality healthcare for everyone really sets us apart from the vast majority of other clinics and is the main reason why we are among the few diagnostic clinics to not only be approved by but also provide services to the NHS and thus the general public. This also means that unlike many other clinics we have additional strict quality control measures which we must adhere to meaning you are in safe hands with us and our team. What does the aorta aneurysm ultrasound screening scan involve? During the scan you will be asked to uncover your abdominal area and a small amount of jelly will be placed over your tummy. An ultrasound camera will then be placed on top and moved along your abdomen. This will result in a picture appearing on the ultrasound monitor which will be translated by a medical ultrasound practitioner. The examination itself usually lasts around 5-10 minutes and is pain free. At the end of the examination the results will be given to you, along with any recommendations which you can take to your regular healthcare professional. No specific preparation is required for this scan. I received an outstanding service at the Scan Clinic. I got a next day appointment and was seen on time. I was kept fully informed as the ultrasound procedure was performed. At the end of the appointment my concerns were fully addressed and my anxieties relieved. I would highly recommend the Scan Clinic to friends & family if they needed care.